Wow thats awesome usedtobefast, can you provide a link/info about that picture? 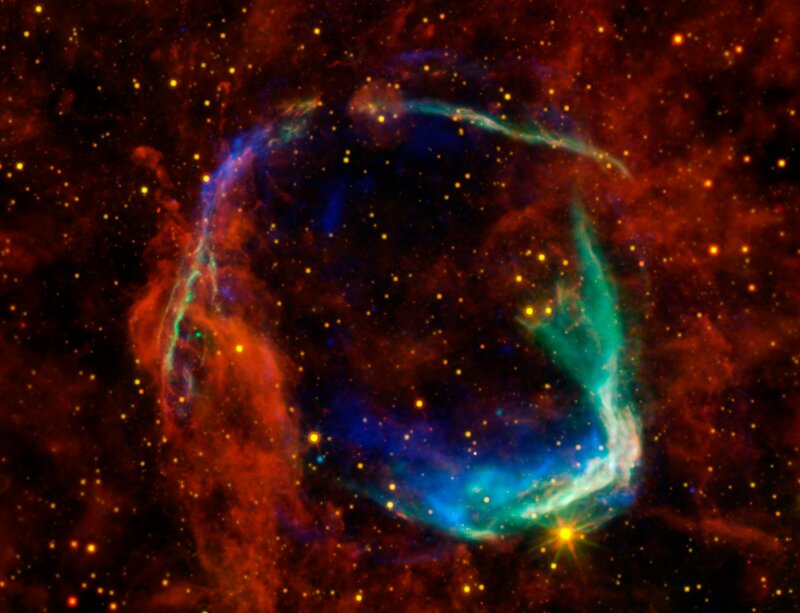 This image combines data from four space telescopes to create a multi-wavelength view of all that remains of RCW 86, the oldest documented example of a supernova. Chinese astronomers witnessed the event in 185 A.D., documenting a mysterious "guest star" that remained in the sky for eight months. X-ray images from NASA's Chandra X-ray Observatory and the European Space Agency's XMM-Newton Observatory were combined to form the blue and green colors in the image. The X-rays show the interstellar gas that has been heated to millions of degrees by the passage of the shock wave from the supernova. Infrared data from NASA's Spitzer Space Telescope and WISE, Wide-Field Infrared Survey Explorer, shown in yellow and red, reveal dust radiating at a temperature of several hundred degrees below zero, warm by comparison to normal dust in our Milky Way galaxy. 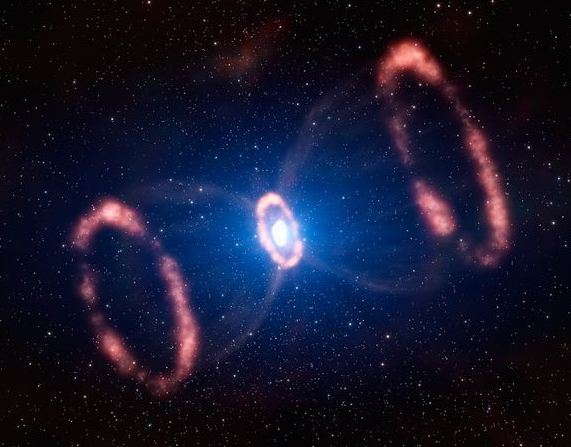 By studying the X-ray and infrared data, astronomers were able to determine that the cause of the explosion was a Type Ia supernova, in which an otherwise-stable white dwarf, or dead star, was pushed beyond the brink of stability when a companion star dumped material onto it. Furthermore, scientists used the data to solve another mystery surrounding the remnant -- how it got to be so large in such a short amount of time. By blowing away wind prior to exploding, the white dwarf was able to clear out a huge "cavity," a region of very low-density surrounding the system. The explosion into this cavity was able to expand much faster than it otherwise would have. This is the first time that this type of cavity has been seen around a white dwarf system prior to explosion. Scientists say the results may have significant implications for theories of white-dwarf binary systems and Type Ia supernovae. 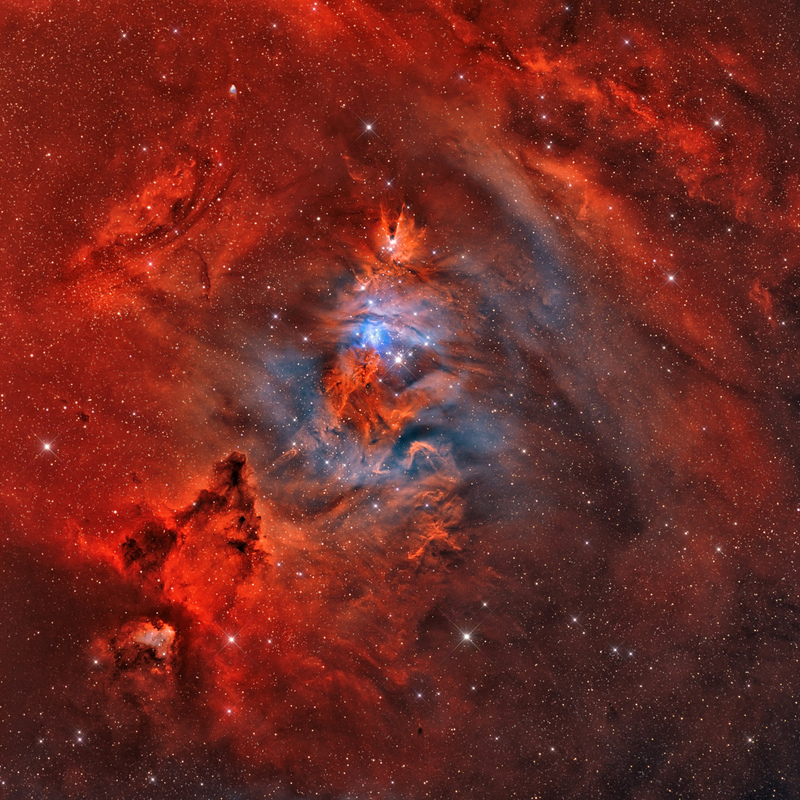 RCW 86 is approximately 8,000 light-years away. At about 85 light-years in diameter, it occupies a region of the sky in the southern constellation of Circinus that is slightly larger than the full moon. 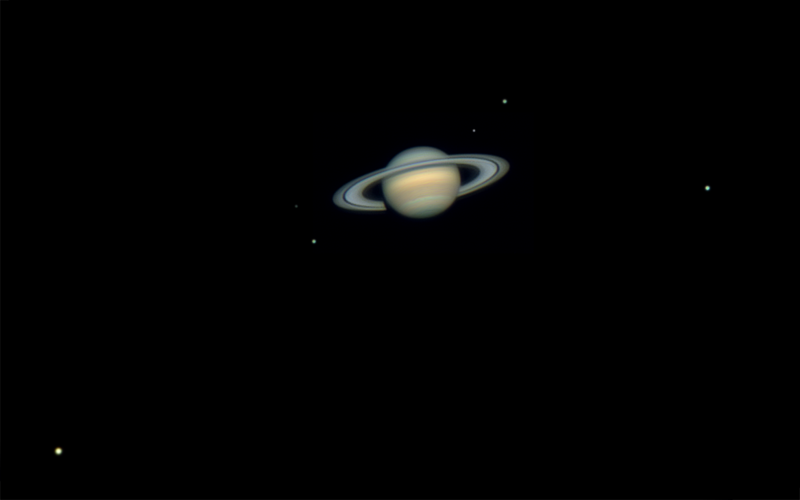 This image was compiled in October 2011. A few stars over the course of hours. I thought I would post this in here rather than in chaos, because it'd get lost in there. I'm speechless. : Some film on the link below. Iron Sky, a Finnish sci-fi spoof depicting a Nazi attack on Earth from communities that have hidden on the dark side of the moon, has had its world premiere at the Berlin Film Festival. Speaking at the festival the film's director, Timo Vuorensola, said a writer approached him with the idea after having a dream about Adolf Hitler. "When we started to really look into it, we thought that yes this actually is a topic that would be really interesting," he said. Kinda pink floyd with the dark side of the moon reference...it will be interesting. come on torrentssssssss!!! her you are. sorry i took so long. 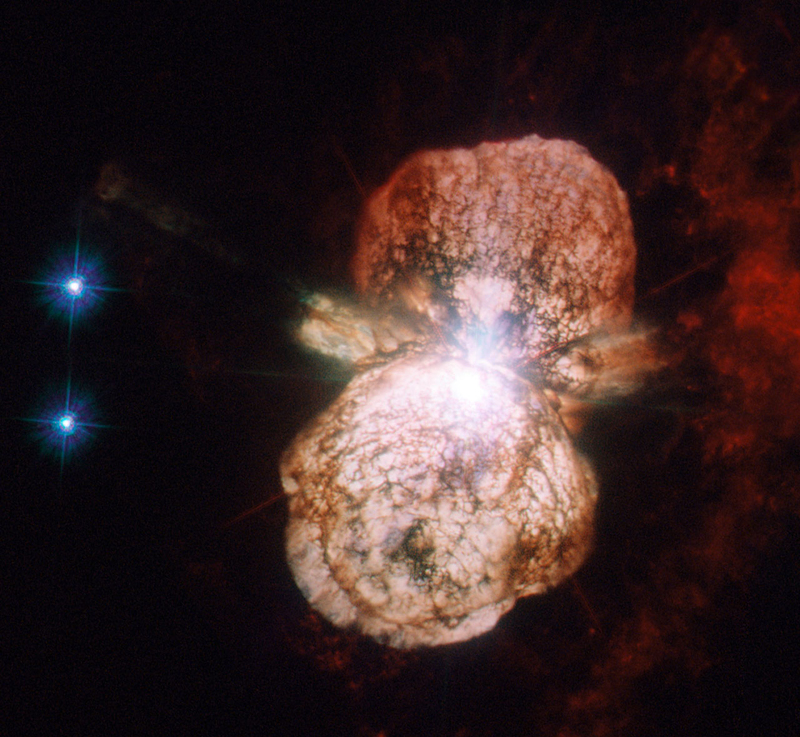 What it looks like when a star dies. If this story doesn't belong under 'science', maybe it should be filed under 'miracles'! A Swedish man has survived being trapped in his snow-covered car for two months without food, police say. The car was found on Friday at the end of a forest track more than 1 km (0.6 miles) from a main road in northern Sweden. Police say the temperature in the area had recently dropped to -30C (-22F). 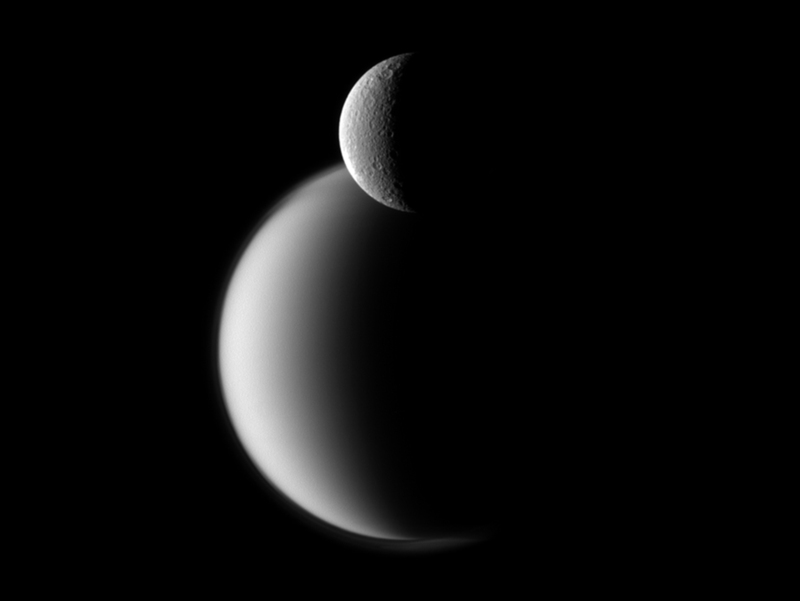 Where we might be in the Solar System . 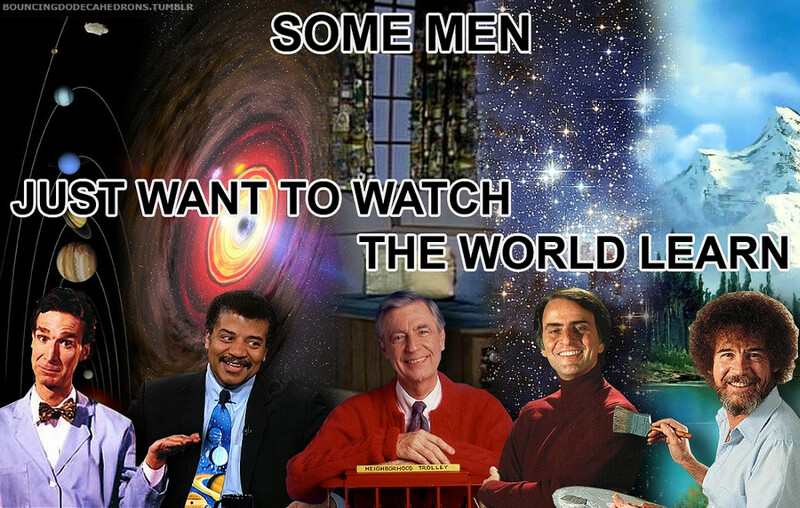 Has space, science and cool stuff subsided now? Surely something's going on in the universe. I know they're talking about the greater role of the possible torch, but to think that in the future it could be used as a basin or tile cleaner. Might be wise to truncate that pic a bit. It's a good one and I think its the latest model/theory of what the Milky Way looks like. Unfortunately being smack bang inside the Milky Way means it's hard to know for sure what it looks like. Sorta like trying to imagine what a house looks like from the outside when you've never left one room. 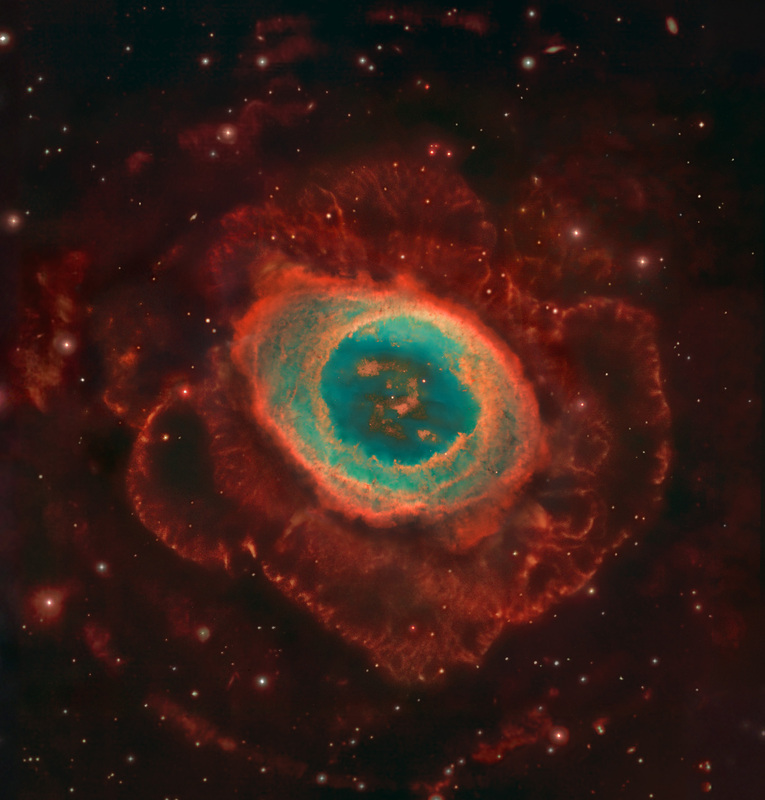 The fittingly named, Ring Nebula. 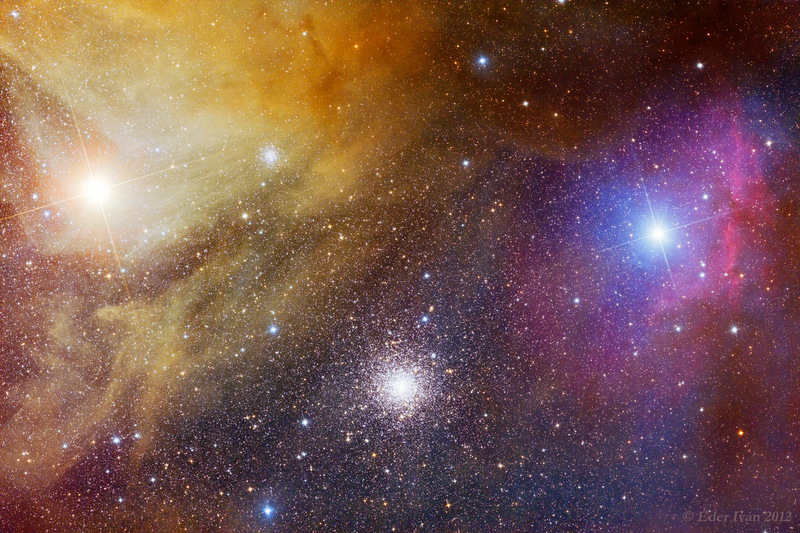 The star Antares which is 850 times bigger than our 'own' Sun . 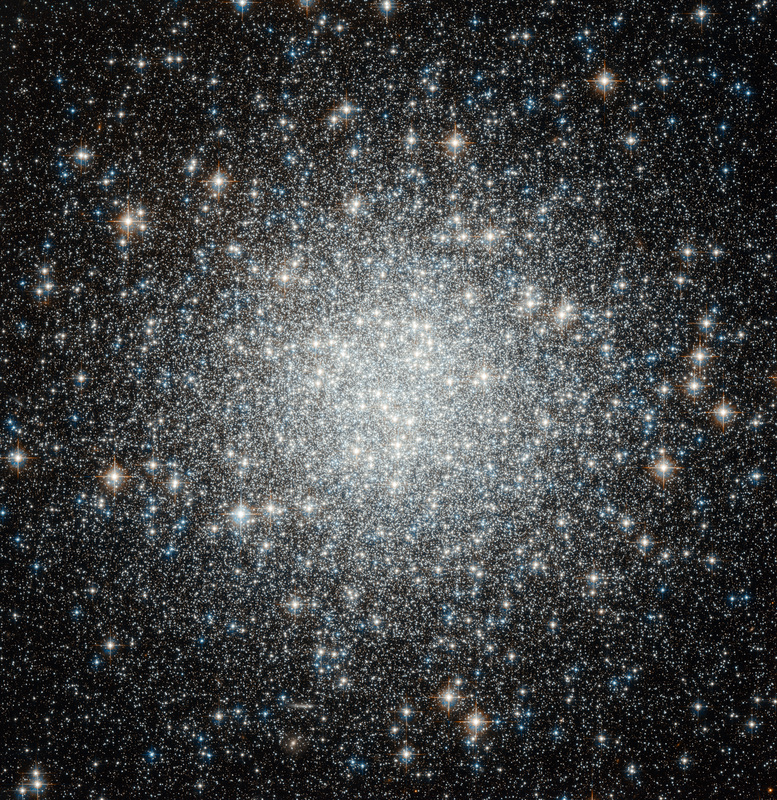 Picture taken by the hubble telescope of the M53 globular cluster of stars. 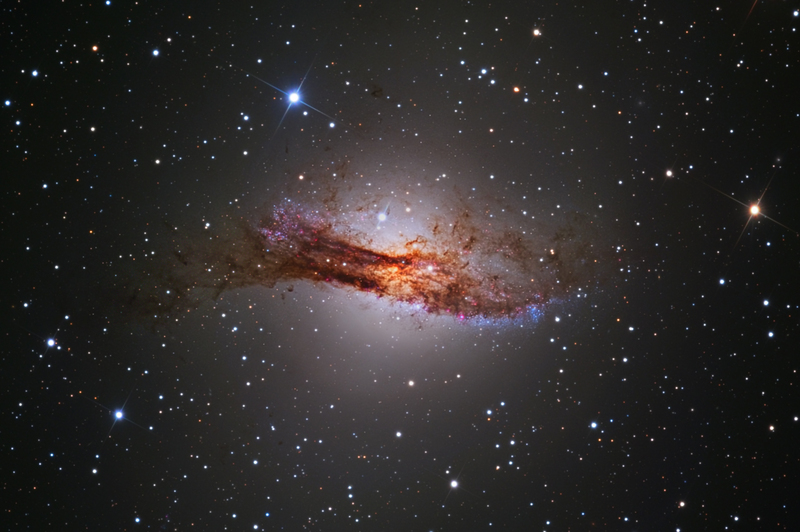 Centaurus A, the closest galaxy towards our own on a distance of 60000 lightyears. 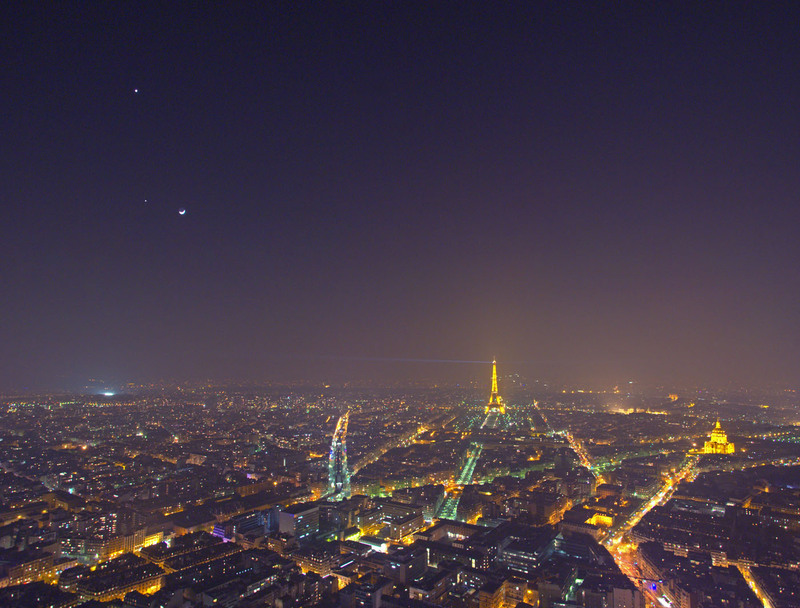 Paris at night, besides the amazing lights of the city in the top left are Venus, Jupiter and one Jupiter's moons. 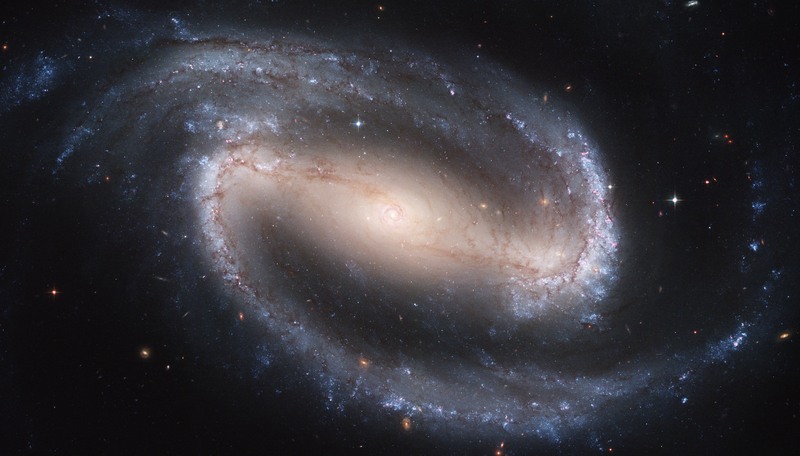 The spiral galaxy of Galaxy NG1300 lies 70 million lightyears away from Earth on the Eridanus constellation. Its one of the largest photos ever made by the Hubble telescope. This one might possibly be my favorite so far. 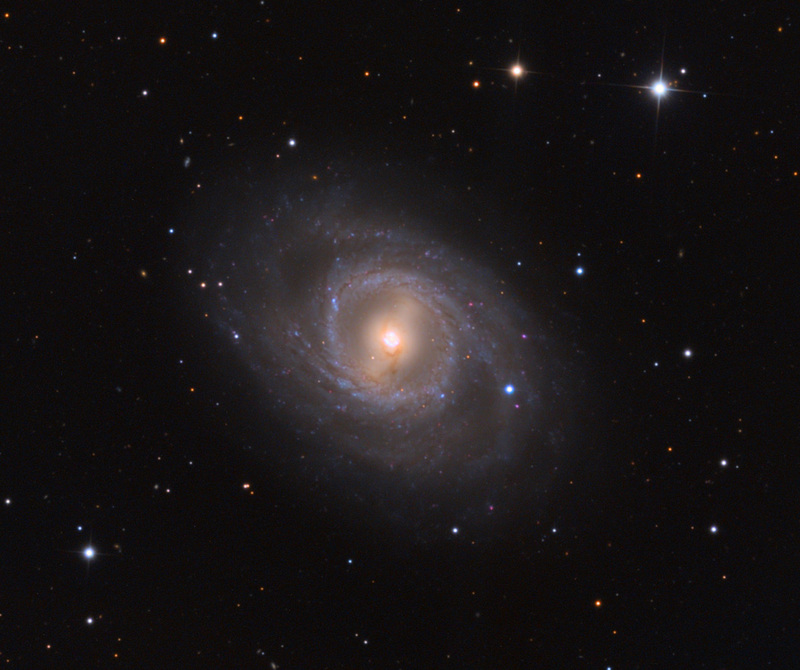 The super nova in the spiral galaxy MG95. 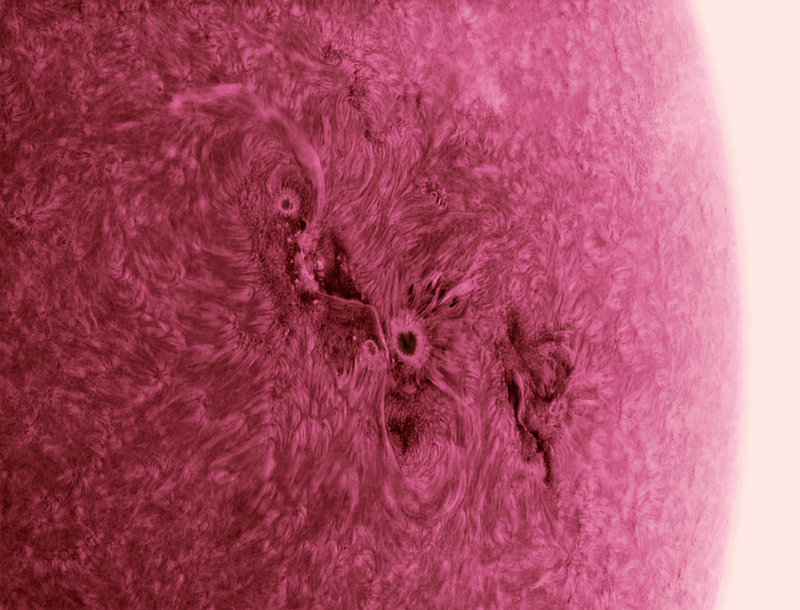 Angry sun sending off powerful flares. 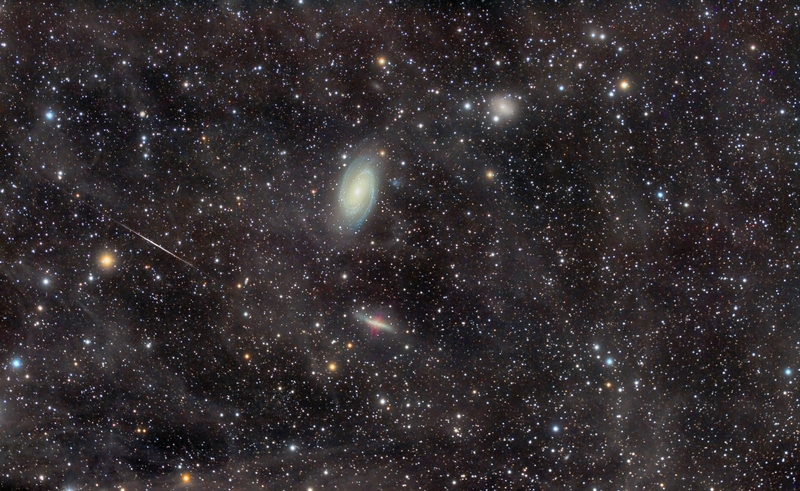 Hubble image of the M81 group of Galaxies.